The Corcoran Garage Art Wrap was installed and dedicated in August 2018. It is one of several projects in the "Back Porch" concept area of the SmART Initiative. The wrap is an example of creative public art that is a "cultural quilt" and reflects the diverse, innovative, and dynamic character of Downtown Durham. Olalekan Jeyifous was selected to create the wrap for the Corcoran Street parking garage. The design is a colorful and joyous interpretation of the architectural and iconic elements of the corridor. His selection follows a rigorous review of 107 artist applications from across the United States. 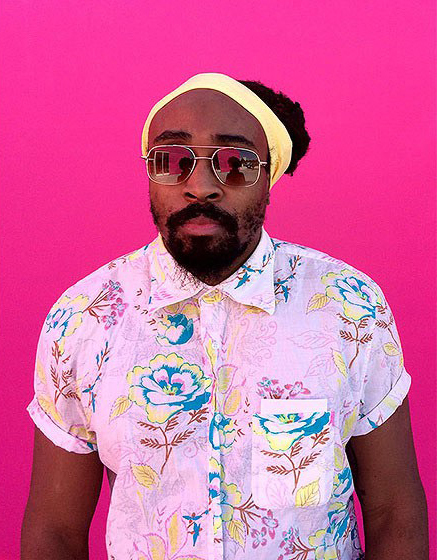 Olalekan, known as “LEk”, is a Nigerian-born artist, architect and designer from Brooklyn, New York. He has created major sculptures, designs, murals, installations, and public art for clients, events and exhibitions in the United States and internationally, including a monumental 50' x 50' x 50' sculpture, “Crown Ether”, for the 2017 Coachella Valley Music and Arts Festival in California. 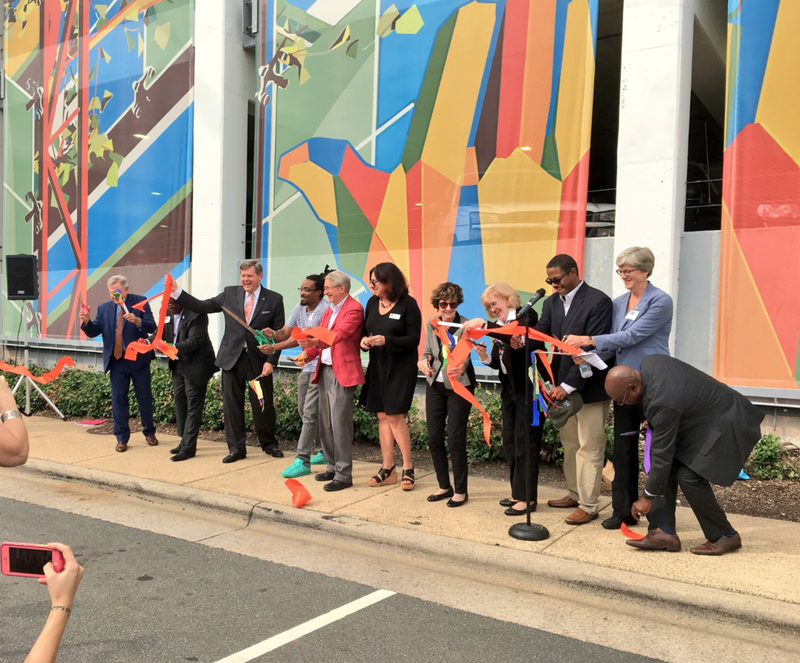 The Art Wrap of Corcoran Street Garage focuses on activating and transforming the visual experience between the American Tobacco and City Center Districts. Olalekan Jeyifous will design and oversee fabrication and installation of large scale art banners that will wrap the exterior south and southeast façades of this large City parking garage. The Corcoran Street Garage, is owned by the City of Durham, was built in 1964, and is a contributing structure to the downtown historic district. © 2018 Durham Arts Council, Inc.
Get the latest news and updates about SmART Durham Initiative.